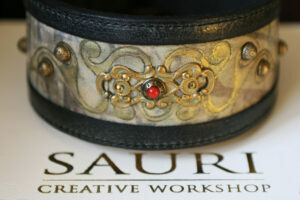 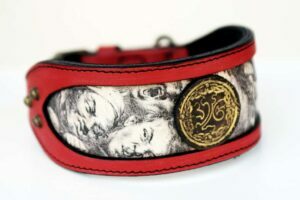 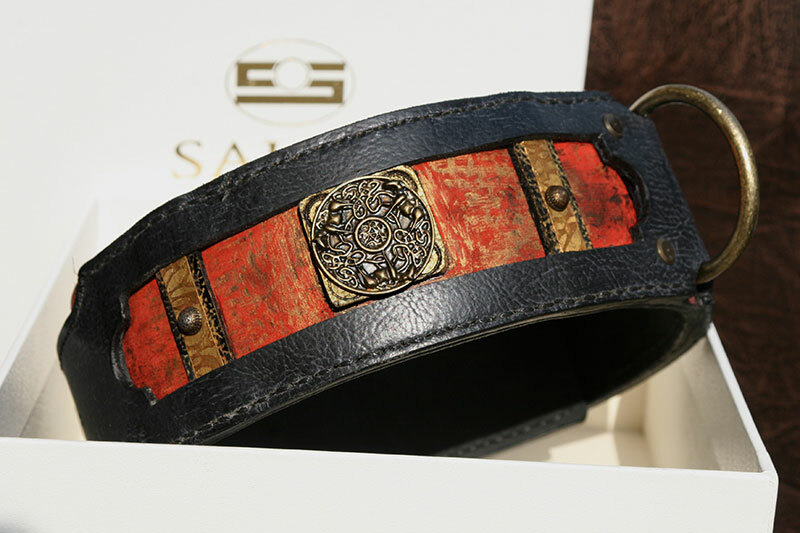 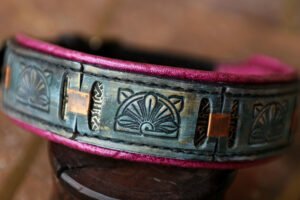 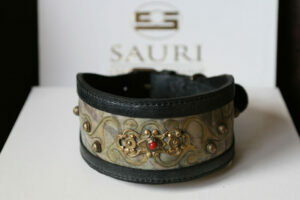 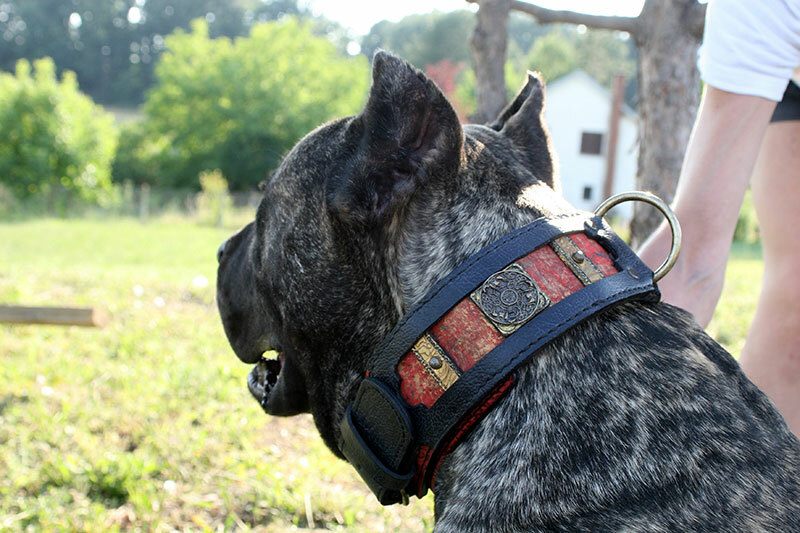 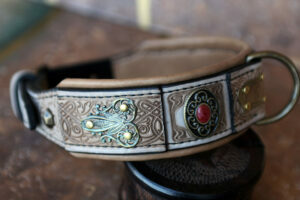 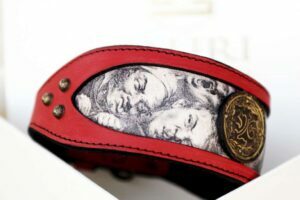 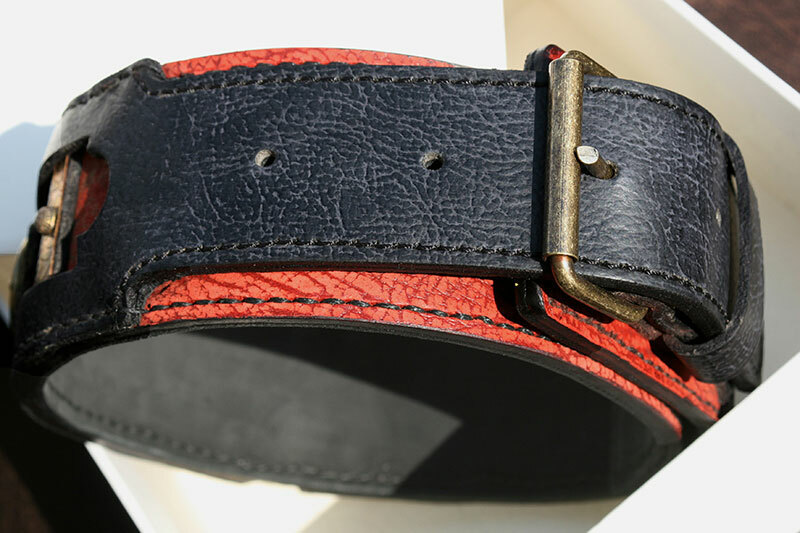 Centaur battle dog collar with red uniquely hand printed underlayer and rich brass, patina ornamentation is a perfect design for all powerful looking dogs such as Dogo Canario, Tosa inu, Boerboel. 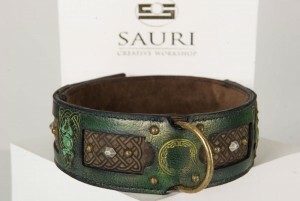 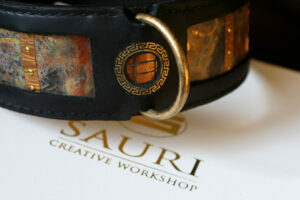 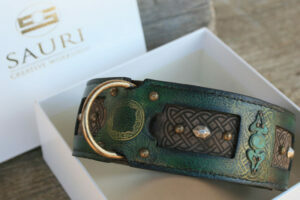 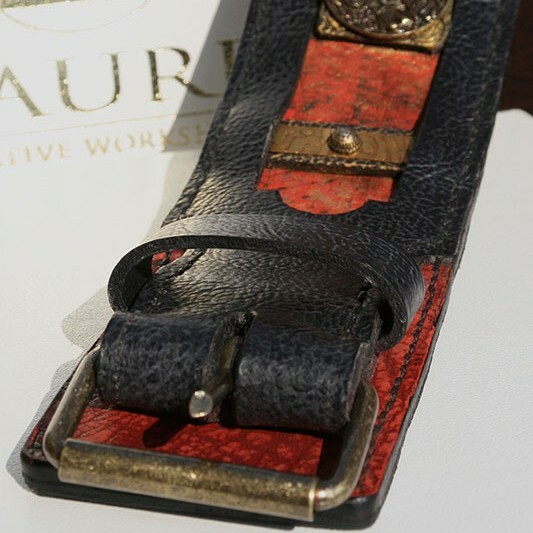 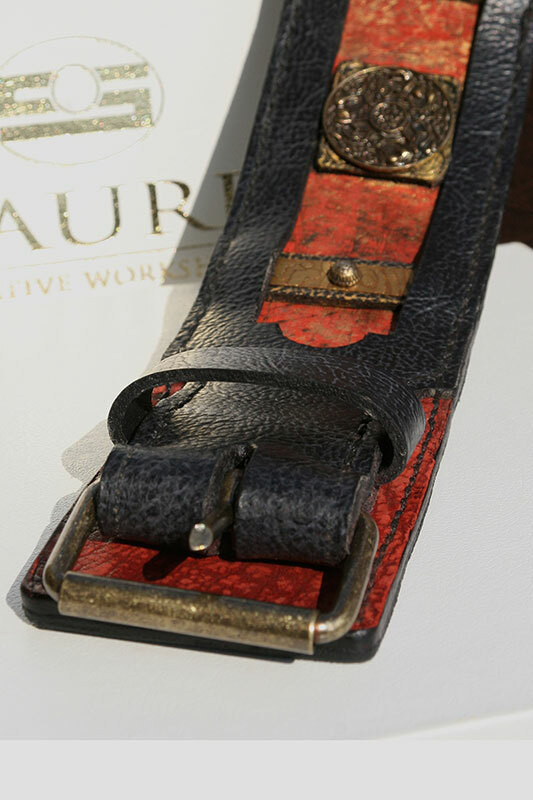 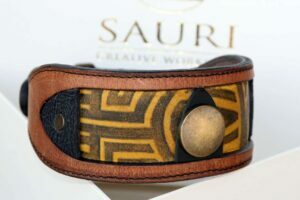 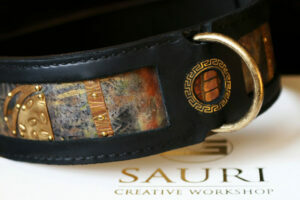 SKU: UC007 Category: Leather Dog Collars Tags: Dog walking, Handprinted, Heavy-duty, Large dog breeds, Ornamented, Uniquely designed Brand: Workshop Sauri | Leather dog collars. 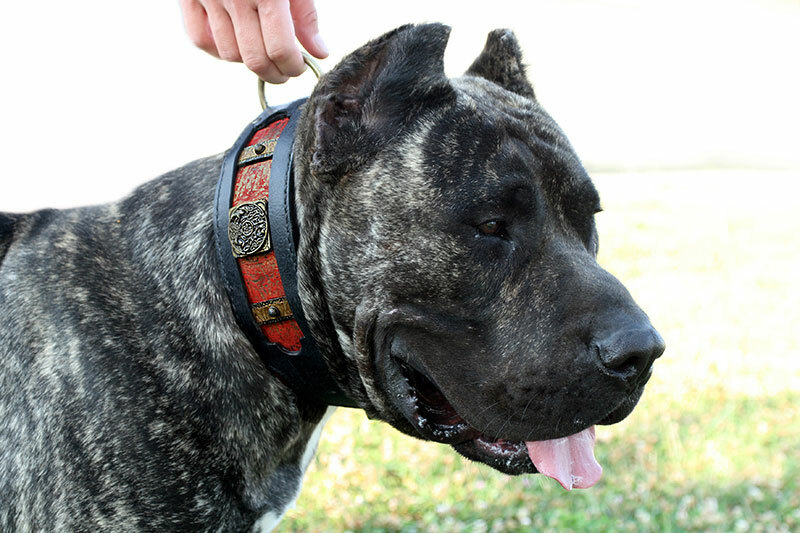 Centaur battle dog collar with red uniquely hand printed underlayer and rich brass, patina ornamentation is a perfect design for all powerful looking dogs such as Dogo Canario, Tosa inu, Boerboel. 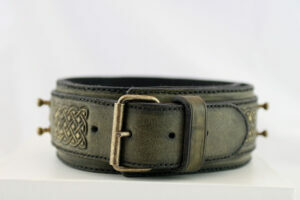 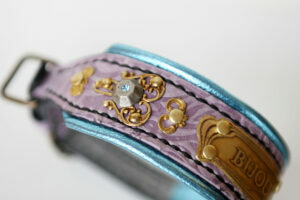 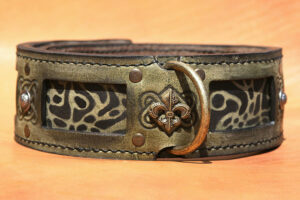 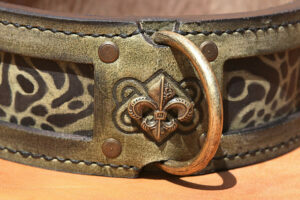 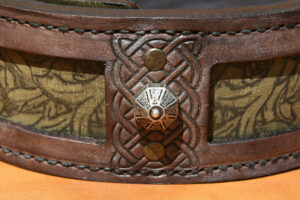 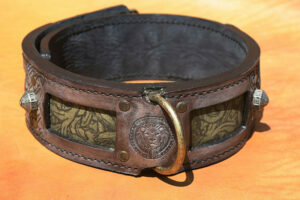 It resembles historical battle dog collars. 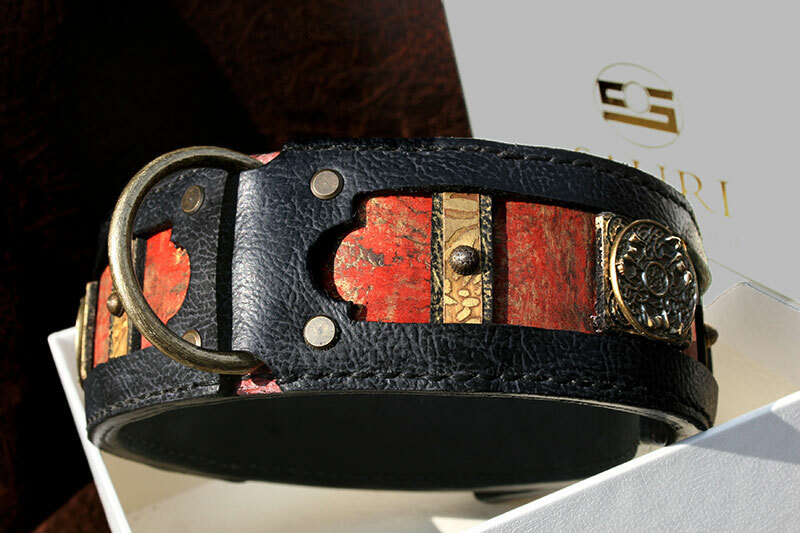 This battle dog collar is completely hand stitched: composed of 3 leather layers, each 4mm thick, with strengthened areas of the largest pressure (buckle, D-ring). 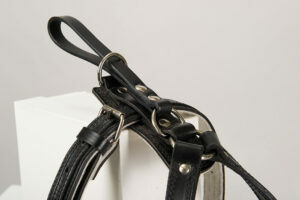 It is highly durable, resistant to cracking and stretching. 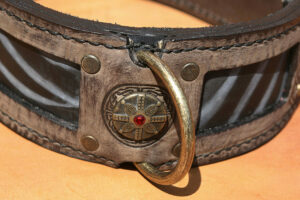 Very comfortable to wear: firmness of the collar doesn’t lessen the dog’s pleasure of wearing it! 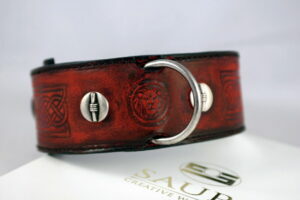 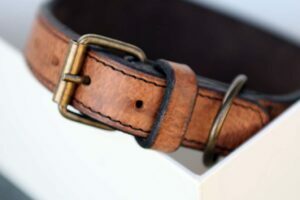 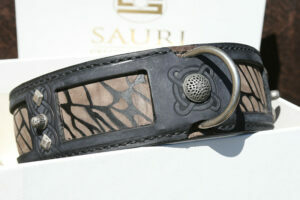 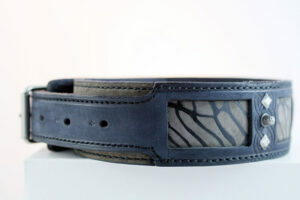 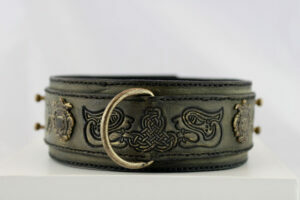 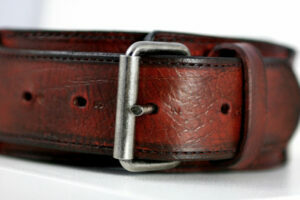 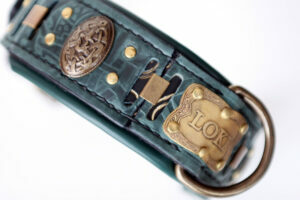 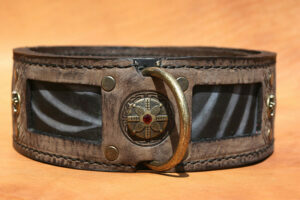 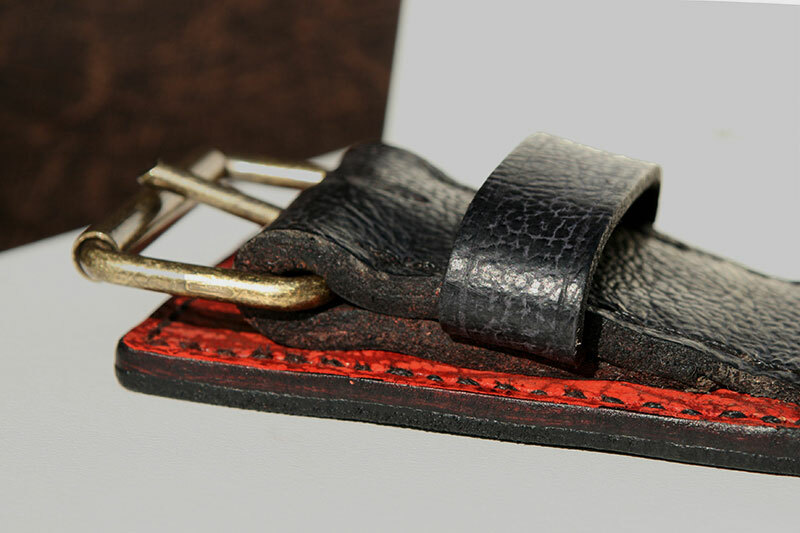 Not only does this leather dog collar look great, it is robust and gains with the usage.